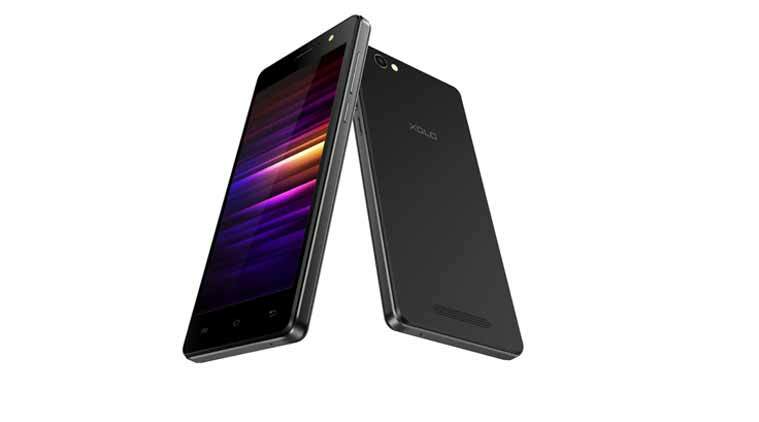 Xolo Era 4G with VoLTE technology has been launched exclusively on Snapdeal at Rs 4,777. Registrations for the smartphone will start from Feb 17, (today), while the device will go on flash sale from February 26. Xolo Era 4G is the successor to the XOLO ERA model which sold more than 150,000 units on Snapdeal, says the company. Xolo Era 4G has a 5-inch HD IPS display with 178 degree viewing angles, and Corning Gorilla Glass. It runs a 1.5 GHz Quad-Core processor with 1 GB DDR3 RAM, total memory space is 8GB. The Xolo Era 4G has a five megapixel rear camera and two megapixel front camera. ERA 4G also comes equipped with multilingual support for regional languages : Assamese, Bengali, Gujarati, Kannada, Malayalam, Marathi, Odia, Punjabi, Tamil and Telugu . Era 4G has a 2500mAH battery and runs Android Lollipop v5.1, which Xolo says will be upgraded to Marshmallow v6.0. This is a dual-SIM smartphone. Xolo has announced yet another Era smartphone called the Era X. The Xolo Era X is a budget smartphone that is priced at Rs 5,777 with the highlight being its 4G bands. The smartphone is already on sale at Amazon.in. The Xolo Era X packs in a 5-inch HD IPS display (1280 x 720 pixels) sporting a pixel density of 294ppi with Corning’s Gorilla Glass protection. Inside we get a quad-core 1.5GHz Spreadtrum SC9830A SoC with 2GB of RAM and a Mali 400 GPU. The device features just 8GB of internal storage, but the same can be expanded to 32GB with the help of a microSD card slot. Coming to the cameras the Era X comes with an 8MP camera with an LED flash on the back and a 5MP unit up front for selfies. On the connectivity front we get a 4G (VoLTE), Wi-Fi 802.11 b/g/n, Bluetooth and a micro USB port for charging and data transfers. All of the above is powered by a 2500mAh battery that is removable. The handset runs Android 5.1 Lollipop and the company states that it is upgradeable to Android 6.0 Marshmallow when the update is made available. The handset is available in black and is priced a bit higher than the Era 4G, which was announced for Rs 4,777 last week. The Xolo Era X is similar to its siblings and also includes multilingual support for regional languages such as Assamese, Bengali, Gujarati, Kannada, Malayalam, Marathi, Odia, Punjabi, Tamil and Telugu.